India could call China’s bluff through quick military action that deposes Yameen and installs the jailed Supreme Court chief justice as the interim president to oversee fair elections under United Nations’ supervision. In truth, an Indian intervention is not on the cards, in part because such action would trample on the principles India has long championed. 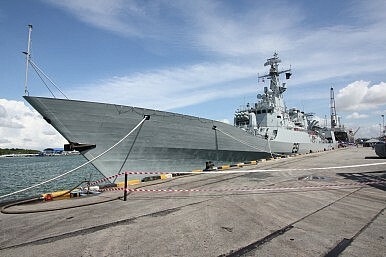 CHINESE warships have entered the Indian Ocean, marking a significant shift in regional power. They’re there to keep India away from Beijing’s interests in the strife-torn Maldive Islands. And their presence has implications for Australia. Naval posturing is nothing new. Gunboat diplomacy has been a major player in great power games of thrones for centuries. But it is odd for it to be played out so close to home. Was a nuclear weapon really on PNS Zulfiquarwhen al-Qaeda terrorists tried to seize control of the ship? Chile's relationship with Peru has improved since 2014, when the International Court of Justice issued a final ruling over their territorial dispute. That trend will continue this year as both countries prepare to connect their electricity systems. Chile's need to increase the electricity supply to its growing lithium industry will play a key role in the drive for energy integration projects with Peru. Chile's recently elected president, Sebastian Pinera, will assume office in March and is likely to continue pursuing this trend. “Dalai surrogates” in Tibet and Xinjiang “separatists” are among the groups of people targeted by regional governments in China’s latest national crackdown on “organised crime”. The authorities in the autonomous regions issued notices identifying the targets after a closed-door meeting of the Communist Party’s anti-graft watchdog in Beijing last month. The meeting marked the start of the national campaign and featured a warning from President Xi Jinping about collusion between triads and officials, especially the protectors of “mafia-style organisations”, which he said had threatened the party’s rule. ICSR Insight – ISIS And Terrorism In Europe: What Next? Just over three years after the launch of the military campaign against Islamic State, the United States-led Global Coalition, together with Iraqi and Kurdish forces, have accomplished their mission. Ninety-eight per cent of the territory Islamic State had once held in Syria and Iraq has been recaptured. The Caliphate’s most important cities, Raqqa and Mosul, are no longer controlled by jihadists. And of the 40,000 men who once fought for Islamic State, only 3,000 are thought to be left, hiding in the desert and hoping to survive. This Strategic Insight aims to expand on Paul Dibb and Richard Brabin-Smith’s powerful, provocative paper, Australia’s management of strategic risk in the new era. Dibb and Brabin-Smith, two of Australia’s leading strategic thinkers, examined China’s growing assertiveness in our region. Here, I look beyond our region and beyond China’s One Belt, One Road Initiative (BRI) to highlight how China is expanding its influence in Africa and the Middle East. I examine some selected cases, such as Zimbabwe, Israel, Turkey and Iran. I also try to situate the BRI in President Xi Jinping’s grand strategy. Current perceptions of Russia as a power factor in the Indo-Asia–Pacific (IndAsPac) geopolitical system are very much influenced by established post-Cold War assumptions that Moscow is no longer able to influence the regional geostrategic landscape because of its reduced military power and limited economic engagement with the region, and thus should be disregarded as a player worth considering and factoring into any strategic calculus. On February 12, the Russian Ministry of Defense proudly announced its second successful test of the new PRS-1M interceptor missile. @DFRLabreported on the first successful test in November 2017, in which the interceptor missile hit a mock target. We took a quick look at the second PRS-1M test and the A-135 anti-ballistic missile system (NATO reporting name: ABM-3 Gorgon) guarding Moscow. Russian media channel TV Zvezda released a news report, which covered the latest PRS-1M test in Sary-Shagan, Kazakhstan. 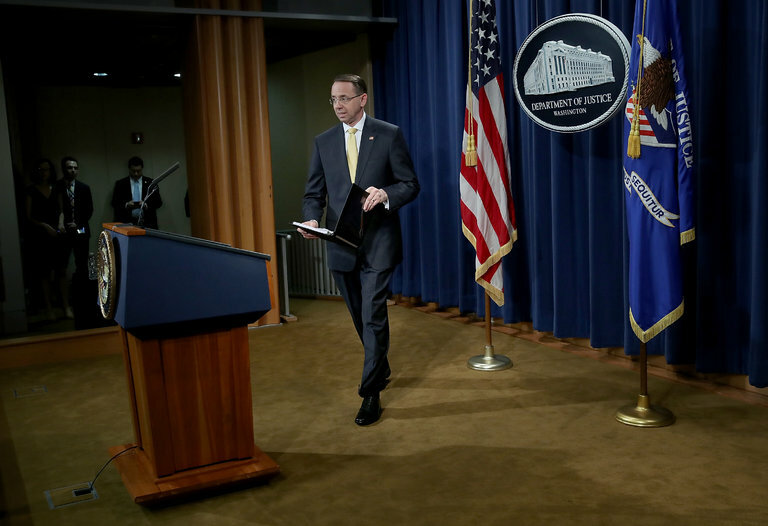 Rod Rosenstein, the deputy attorney general, announcing the indictment of 13 Russian citizens and three Russian organizations accused of meddling in the 2016 presidential election. As international conspiracies to undermine the world’s last remaining superpower go, the Russian-led plot revealed by a Justice Department indictment on Friday can seem, in its particulars if not its intent, audacious but, as revealed so far, somewhat narrow. The conspirators stand accused of spreading falsehoods online, hiring Hillary Clinton impersonators at rallies and starting Facebook groups that tried to convince minority voters to stay home or cast their ballots for Jill Stein. A Hezbollah member reacts while Hezbollah leader Sayyed Hassan Nasrallah talks on a screen during a televised speech at a festival celebrating Resistance and Liberation Day in Nabatiyeh, Lebanon. For a second week in a row, Israel has seen severe security incidents on its borders which, with one small miscalculation, could have very easily somersaulted into another devastating conflict in the region. Last week an Israeli F-16 was downed after Syrian air defenses launched some 20 missiles towards Israeli jets carrying out retaliatory strikes deep inside the war-torn country after an Iranian drone infiltrated Israeli airspace. U.S. President Donald Trump has a chance to pursue protectionist trade measures that could be his most significant trade restrictions yet. After an investigation launched in April 2017, the Commerce Department has found that steel and aluminum imports threaten to impair U.S. national security. To counter that threat, it has recommended a wide range of remedies, including a global tariff on steel imports of at least 24 percent and quotas restricting imports to just 63 percent of their 2017 volume. Trump and his administration now have until April 11 and 19 to decide what measures to take on steel and aluminum imports, respectively. For years, U.S. politicians on both sides of the aisle have been striving to find ways to fix the country's crumbling infrastructure. The need to repair roads, bridges and water pipes has prompted various plans over the past several decades, and now, U.S. President Donald Trump’s administration has presented its own proposal. The White House's $1.5 trillion plan depends heavily on public-private partnerships. It also designates several billion dollars to go to grant projects, which will be evaluated in large part based on their ability to find funding and generate profit. There are a number of roadblocks on the way to implementing a new infrastructure plan of any sort, and in the meantime, the country will continue to operate under the threat of profit and job losses that comes from an outdated infrastructure. It is time for the U.S. military to embrace a revolution in training: “synthetic readiness”. The emerging state of the art in virtual and augmented reality is the next great leap in training military forces. The recently released National Defense Strategy (NDS) emphasizes a return to prioritizing preparedness for war. It also calls for innovation, and a continued focus on finding greater efficiencies in how the U.S. military develops forces and trains for conflict. This marks a tremendous opportunity for investment in virtual and augmented reality training. Yet this requires a significant shift of the mind for the military. For all the military’s stated openness to innovation (a strong emphasis of the NDS), it remains relatively old-school when it comes to certifying units as “ready” for their missions. Unit readiness—especially for the Army—hinges on rotations to Combat Training Centers. This is both inefficient and unimaginative, and it needs to change. New technologies provide new ways to train units to operate at much higher, more sophisticated levels of coordination across the joint force. The Financial Times (FT) has released its annual guide to the 100 best business schools for studying an MBA. The FT Global MBA Ranking 2018 is compiled using responses from alumni and data taken from each school, and includes 20 different ranking criteria, such as average salary three years after graduation, average salary increase, and the course’s perceived value for money. The report also highlights the percentage of students that had found a job or accepted a job offer within three months of graduation, and features a handful of gender-related criteria, including the number of female students and staff members on each course. Cyber attacks fall under a misty and gray area which could be best depicted as ‘below the threshold of armed conflicts’, a hard-to-recognize hole within the margins of international law. Thus, cyber tools extraordinarily fit well with hybrid warfare and espionage purposes. Although the bulk of contemporary hostile cyber activities are related with state actors, these intrusions mostly take place in the form of proxy war which enables the states to keep being concealed in complex secrecy. In fact, high–end computer, network and telecommunications technologies help states to sustain the abovementioned ambiguity in their cyber operations. Cambridge, MA – Defending Digital Democracy (D3P), the bipartisan project at Harvard Kennedy School’s Belfer Center for Science and International Affairs, released three new playbooks today in its mission to help campaign and election officials defend themselves against cyberattacks and information operations aimed at undermining trust in the American election system. The recommendations in the three playbooks are based on D3P’s extensive field research, observation of three recent elections, an in-depth survey, and multiple tabletop exercises conducted with bipartisan groups of election officials. Rather than simply highlight the weaknesses and vulnerabilities of the nation’s election systems, the D3P team strove to work directly with election officials to develop measures to strengthen their cyber defenses and incident response capabilities. Washington—The U.S. Army Research Lab (ARL) has awarded a $25 million contract to a consortium of university researchers known as the Alliance for Internet of Battlefield Things Research on Evolving Intelligent Goal-drive Networks (IoBT REIGN) to develop new predictive battlefield analytics and services. As battlefields become more reliant on integrated technologies that partner cyber and physical elements, the speed at which those systems must communicate is necessary. To execute man-machine teaming envisioned by the Department of Defense’s Third Offset Strategy, researchers hope to develop an IoBT that “will connect soldiers with smart technology in armor, radios, weapons, and other objects, to give troops ‘extra sensory’ perception, offer situational understanding, endow fighters with prediction powers, provide better risk assessment, and develop shared intuitions,” according to a University of Illinois press release. U.S. Army Sgt. 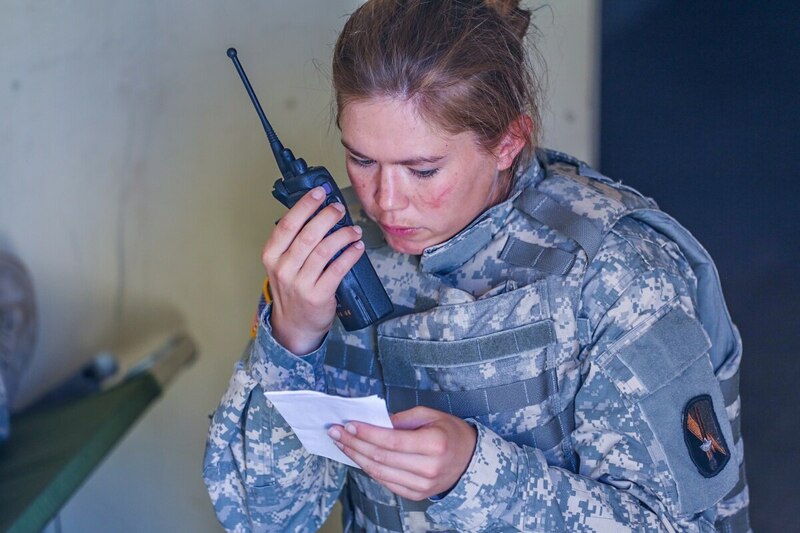 Samantha Dubuis, Senior SATCOM communication systems operator, 578th Signal Company, 302nd Signal Battalion, 21st Signal Brigade Fort Bragg, N.C., makes a radio call on the urban assault course during the Network Enterprise Technology Command (NETCOM) Best Warrior Competition at Fort Huachuca, Ariz., June 10, 2014. 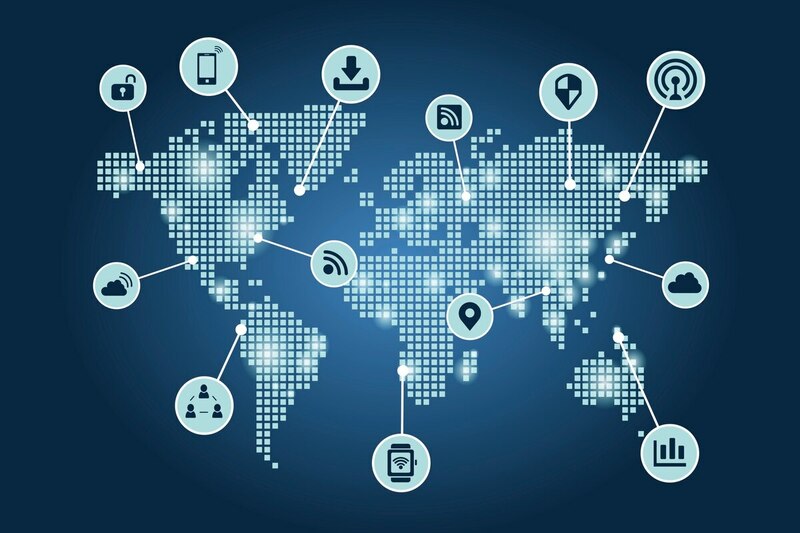 The popularity of the Internet of Things has made spectra more difficult to discern. The radio spectra are increasingly crowded and confused, and smart devices are making it worse. Already jammed full of telecom signals, the airwaves have become increasingly congested with the popularity of the Internet of Things. One of the most important and lasting things you will do as a commanding officer (CO) is to write quality evaluations (evals) and fitness reports (FitReps) for your chiefs and officers. These documents not only will have immediate and resounding effects in your chiefs’ mess and wardroom, they will echo for years in the lives of the recipients. More important, the future of the service is drawn by a commander’s hand as he or she decides what to put onto paper for each individual.